A golden birthday only happens once in your lifetime. It is the only birthday when your age and your birth date are the same. Say your birthday is the 25th? Then your golden birthday would be when you turn 25. Pretty neat. I wish I had known about this long ago when I had mine. Fortunately for Madison, she knew that turning 6 on the 6th was her golden birthday. I was lucky enough to be invited to capture the magic of this once-in-a-lifetime event. 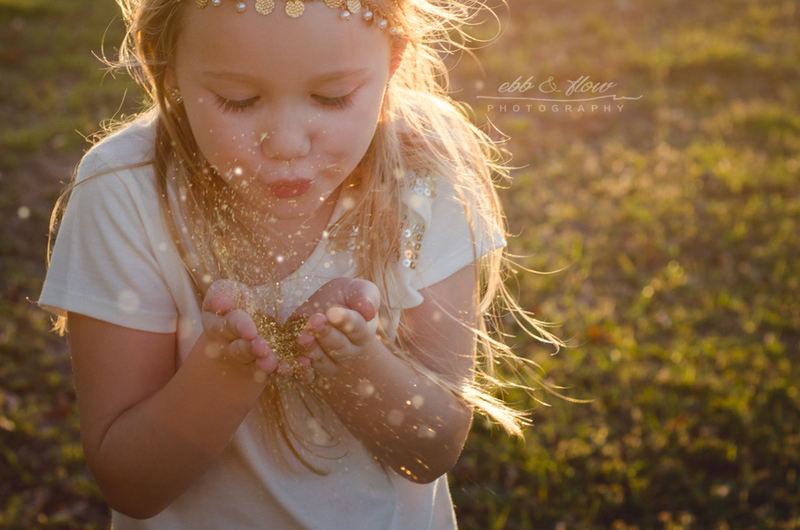 To make it even more special, we brought an armory of gold glitter and set our session at the golden hour. I may still be cleaning up gold glitter, but these pictures were totally worth it.